We envision a world in which every Tanzanian child is provided the chance to receive quality primary education that recognizes and fosters individual talent and celebrates uniqueness. Each child is an individual who has diverse aptitudes and different learning styles. Building on this fundamental concept, The Toa Nafasi Project addresses the needs of primary schoolchildren in Tanzania to assess their abilities, cultivate strengths, and resolve weaknesses. We work with teachers, parents, and the community at large to enrich the classroom experience and devise innovative and inspiring teaching methodologies that encourage participation and critical thinking. The goal of The Toa Nafasi Project is to elicit creativity and distinction in academic performance, extracurricular activities, and to provide each child with a chance to excel. The Toa Nafasi Project is a 501(c)(3) charitable organization that was conceived in 2009 and incorporated in 2012 in response to the “one size fits all” approach to education in Tanzania, East Africa. 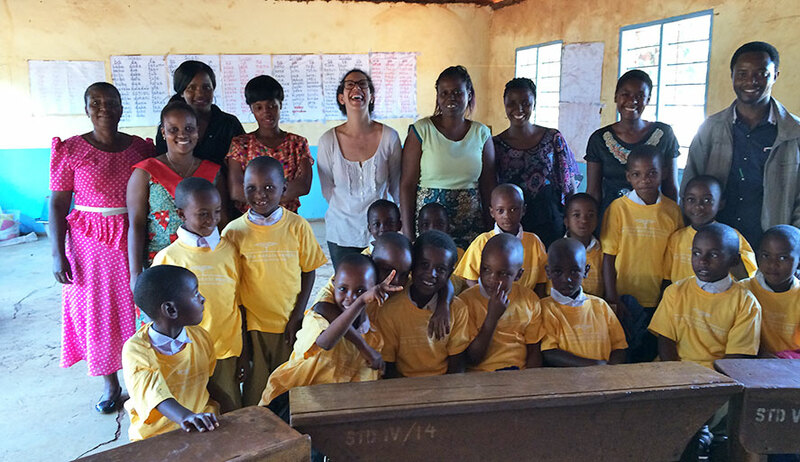 The Toa Nafasi Project was founded by Sarah Rosenbloom, a longtime volunteer teacher and development worker in Kilimanjaro, who is conversant in both the language and culture of Tanzania, and has extensive contacts throughout the country. Sarah is joined by a fifteen-member staff, two advisory/directorial boards, and the Project works in coordination with: The International Association of Special Education, The Diaspora Council of Tanzanians in America, Dr. Angela Stone-MacDonald and The Early Childhood Licensure Program of UMass Boston, The Gabriella Children’s Rehabilitation Centre, Building Caring Communities, and the Kilimanjaro Christian Medical Centre among others. I was born and raised in Washington DC and, after studying at Columbia University, I remained in New York to work in the book publishing industry for ten years. 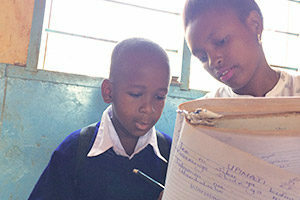 In July 2007, I went to Kilimanjaro, Tanzania to be a short-term volunteer nursery school teacher. It was here that I noticed a number of children writing backward or upside-down, both letters and numbers. These kids were slow to catch on and hard to correct, and the teachers were at a loss as to how to help them. Salome struggled with every subject in the classroom, and was ostracized by her peers on the playground. Daniel was good at math, but the only way to know this was by holding his notebook up to a mirror – he would write the equations correctly but entirely backward! I was shocked to learn that the Swahili word for “kindergarten” – chekechea – has a literal meaning of “the tool that separates wheat from chaff,” and immediately saw the need for reform. I researched special education networks both in Tanzania and abroad, and imagined a simple yet effective intervention to assist primary schoolchildren with learning difficulties in the Tanzanian public school system. Since our inception in 2012, Toa Nafasi has evolved into a more holistic entity that aims to foster students’ hidden talents as well as resolve perceived problems. Not every Tanzanian child can be a superstar academically, but he or she might well be exceptional in other ways, and that’s what The Toa Nafasi Project wants to find out. Tanzania is an East African country situated just south of the Equator. 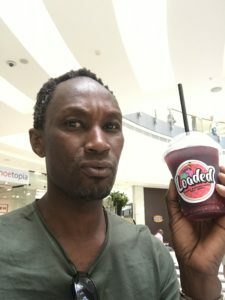 It is bounded by Uganda, Lake Victoria, and Kenya to the north; by the Indian Ocean to the east; by Mozambique, Lake Nyasa, Malawi, and Zambia to the south and southwest; and by Lake Tanganyika, Burundi, and Rwanda to the west. Tanzania is home to an exceptionally rich array of wildlife – zebras, giraffes, and wildebeests; lions, leopards, and cheetahs; elephants, hippos, and crocodiles – all of which can be seen in the country’s numerous game parks, the most celebrated being Serengeti National Park, Ngorongoro Crater, and Selous Game Reserve. Other natural points of interest found in Tanzania are Mount Kilimanjaro, the “Roof of Africa,” standing 5,895 meters or 19,341 feet above sea level, and the spice islands of the Zanzibar Archipelago. Tanzania’s population of about 56 million people is unevenly spread over the country’s 26 regions, and includes more than 125 different indigenous African peoples, or tribes, most of whom are of Bantu descent. 70% of the country is rural with a third of households living below the basic needs poverty line of $1 a day. Moshi, the capital city of Kilimanjaro region in the northeast, is headquarters to The Toa Nafasi Project and home to roughly 200,000 people. The majority of residents are subsistence farmers with international trade being strong in coffee and tourism. 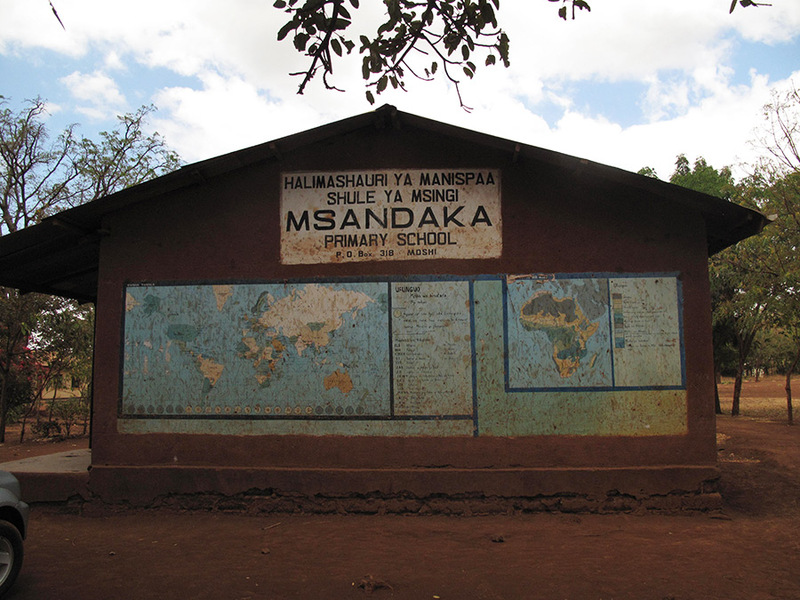 There are just under 900 public primary schools in Kilimanjaro region with 35 of those in Moshi Municipal district (where Toa Nafasi works), serving 25,000 students. There is one teacher to every 45 children and rates of graduation are poor. Well over 50% of public primary schoolchildren do not matriculate and only a quarter of secondary school-age youth actually attend school. Countrywide, unemployment is over 10% and literacy is under 70%. Sarah is the founder and director of The Toa Nafasi Project, which has been operating in Kilimanjaro for five years. 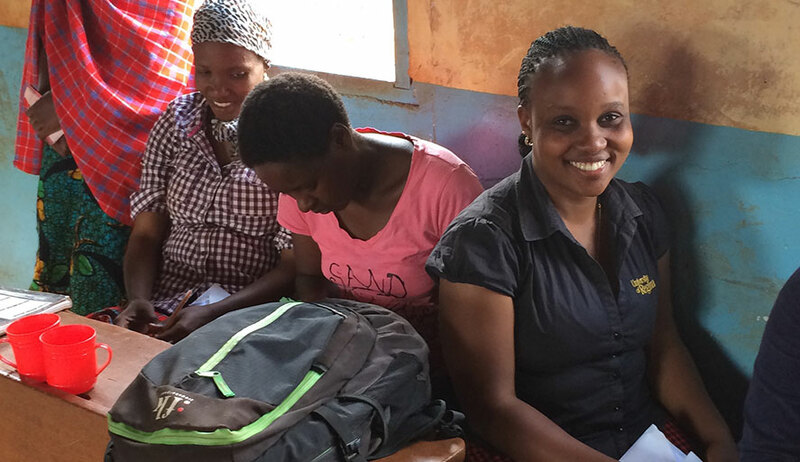 Prior to her work with Toa, Sarah spent an additional five years in Tanzania working for another NGO. She was born and raised in Washington DC and attended Columbia University. Dr. Peterson is professor emerita in the Department of English, University of Maryland. While at the university, she chaired the committee on Africa and Africa in the Americas (1994-2001). Her research and publications focus on African American literature, history, and culture. As a public historian, Dr. Peterson has served on several museum consulting teams, notably at the New-York Historical Society, the Museum of the City of New York, and the National Museum of African American History. She received her Ph.D. in Comparative Literature from Yale University. 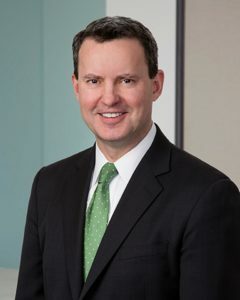 Clark Armitage is a member of Caplin & Drysdale residing in the firm’s Washington, D.C., office. Mr. Armitage advises multinational corporations on international tax and transfer pricing matters, from planning to cross-border dispute resolution. He is active in advising clients on the implications of the Tax Cuts and Jobs Act of 2017, and has a strong background interacting with tax authorities on advance pricing agreements and competent authority matters for corporations in a variety of industries. Mr. Armitage spent eight years in the IRS Advance Pricing Agreement Program, serving as Deputy Director from 2008 to 2010, where he both experienced and oversaw the full spectrum of program activities. Mr. Armitage also served on a special detail as the Tax Treaty Manager responsible for Canadian Competent Authority cases. 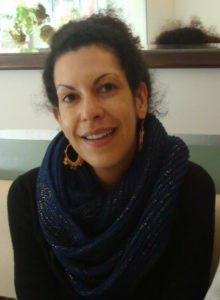 Romana is a member of the U.S. board of The Toa Nafasi Project working on governance. 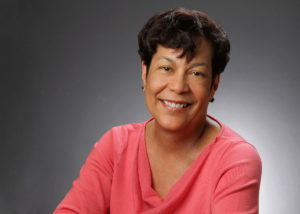 She is also a current board member (Chair of Development) for New Futures in the metropolitan Washington D.C. area, and board emeritus for WITF (PBS and NPR broadcast stations) in Central Pennsylvania. Romana was past board chair for the YWCA in York, PA and past board member for the United Way, also in York. 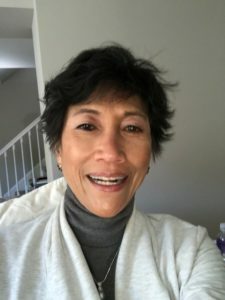 Born in Rome, Italy; raised in Hong Kong and Tokyo; and then educated at in the United States, Romana is now retired and currently resides in Washington, D.C. with her husband. 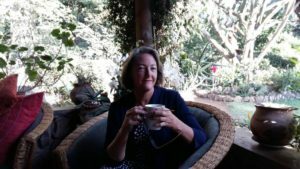 Robin is a clinical psychologist, living and working in Arusha, Tanzania for 35 years. She has a special interest in child protection and promoting programs to increase the capacity of students and teachers within the government school system. Methley is the owner and operator of Just-Kilimanjaro, a trekking outfit based in Moshi, Tanzania. Just-Kilimanjaro has been in operation for the past 6 years. Prior to this, he was working for another tour company. He was born and raised in Machame, Kilimanjaro. Allison has worked in development since 2004, firstly for the Australian Government’s Agency for International Development (AusAID) and then for a number of local non-governmental organizations in Tanzania. She has a particular interest in education and gender, and has a Masters in International Studies. Allison commenced as the Fundraising and Communications Manager for The Toa Nafasi Project towards the end of 2017.